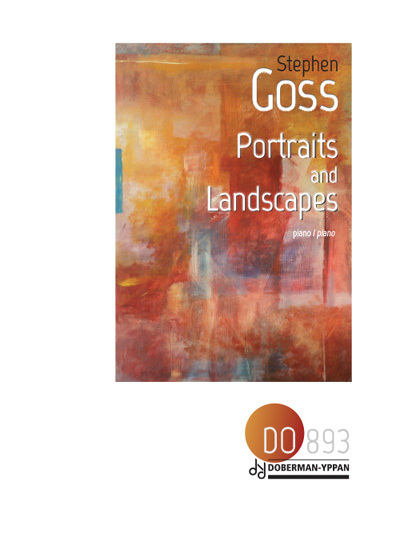 Portraits and Landscapes is about people and places. It was commissioned by Stuart Mitchell as a set of portraits of his family in their landscapes of choice. The work makes reference to the music that resonates in Stuart’s household as well as pieces from Emmanuel Despax’s repertoire – Schumann, Wagner, Liszt, Debussy and Ravel. There are five short character studies each portraying a family member. Rubha Hunish was the first miniature to be written. It is the still centre of the set and evokes the tranquility and solitude of the Isle of Skye (when the weather is tame). I thought of Schumann’s song Zwielicht from Liederkreis Op 39, Liszt’s Nuages Gris and Wagner’s Tristan. These sources are distilled to their essence. This keystone of the set is flanked by two light-hearted pieces. There’ll never be peace till Jamie comes hame is a wild scherzo with a Scottish theme. It’s based on an air by Rabbie Burns, which appears transformed into a jig. Waltz and Replique is coquettish, cheeky and sentimental. In the Waltz, Schumann’s Valse Allemande from Carnaval Op. 2 is reworked – rhythms retained, notes changed. The Replique is taken directly from Carnaval; literally a replica. The set opens with Sound of Iona, which remembers the few days a year when the Scottish sun is hot and the Sound of Iona is perfectly still. The music is static and calm. I had in mind two Ondine water pieces: by Debussy (from Preludes, Deuxieme Livre) and Ravel (from Gaspard de la nuit). Ravel’s piano writing also informs the finale. The Toccata is bright and energetic – a virtuoso tour de force that brings the set to a sparkling conclusion.